Award winning entertainment packages, only the best for our customers! Jumping Jacks packages are uniquely tailored & inclusive. To find out more please click on each link below. Baby Sharks & Fishes… NEW THEME! Circus – Inspired by… The Greatest Showman! For age 8+ we recommend an older disco package or Beach/Luau Party, Pamper, UV Glow Party, Slime or Fortnite. If you have something different in mind please let us know and we can tailor something to suit. 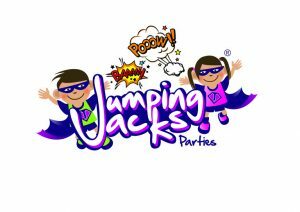 We specialise in bespoke event packages and can assist in creating the perfect party package for you. Please contact one of our party experts who will be more than happy to answer any questions that you have. If you have something different in mind please let us know and we can tailor something to suit. We specialise in bespoke event packages and can assist in creating the perfect party package for you. Please jcontact one of our party experts who will be more than happy to answer any questions that you have. A legendary, mythical creature, traditionally called a fabulous beast or fabulous creature, is a fictitious, imaginary and often supernatural creature whose existence has not or cannot be proved… that’s until now of course!